Hello my winter loving friends! Wait, are we loving winter? Let's put it this way, thus far I'm not hating winter. Not sure I loooooove it though. Here's what I do love though. I LOVE paper snowflakes. 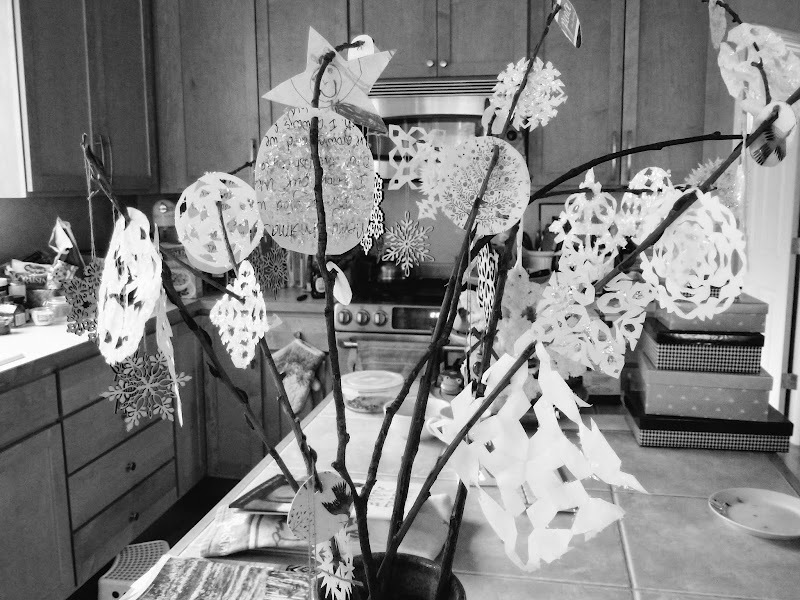 And after seeing Pinterest pin after pin of these beautiful snowflake garlands, by gum, I was going to have some too. I saw a really great tutorial about how you can get pom pom yarn (there is such a thing!) 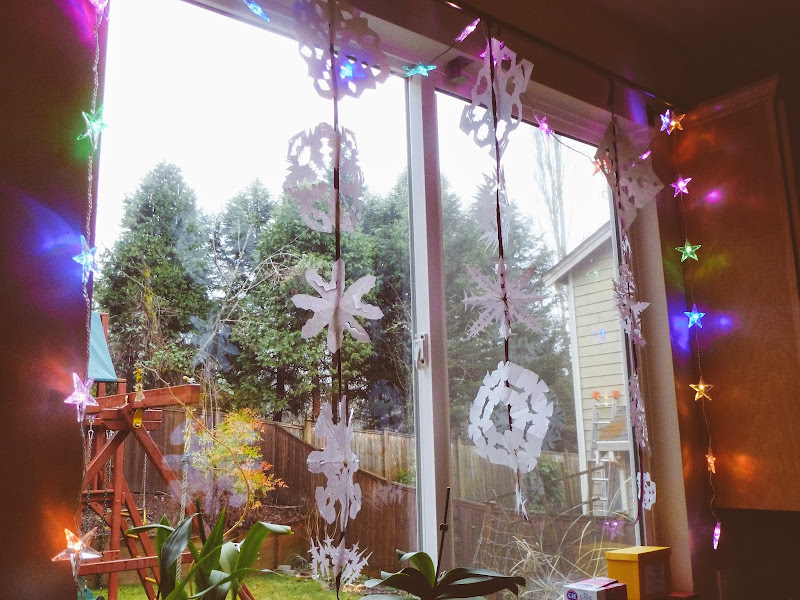 and these wax stickies and apparently you can make awesome hanging snowflake garlands that way. If you get thee hence to a craft store, which I was unwilling, or too lazy to do. Let's go with too lazy, for the sake of truthfulness. I didn't grow up in a paper snowflake kind of house. I don't think my parents would have minded; displaying crafts just wasn't a thing with us when I was young. I want my daughter to grow up in a paper snowflake kind of house. Another thing I never had that much of growing up in Hawaii -- hot chocolate! 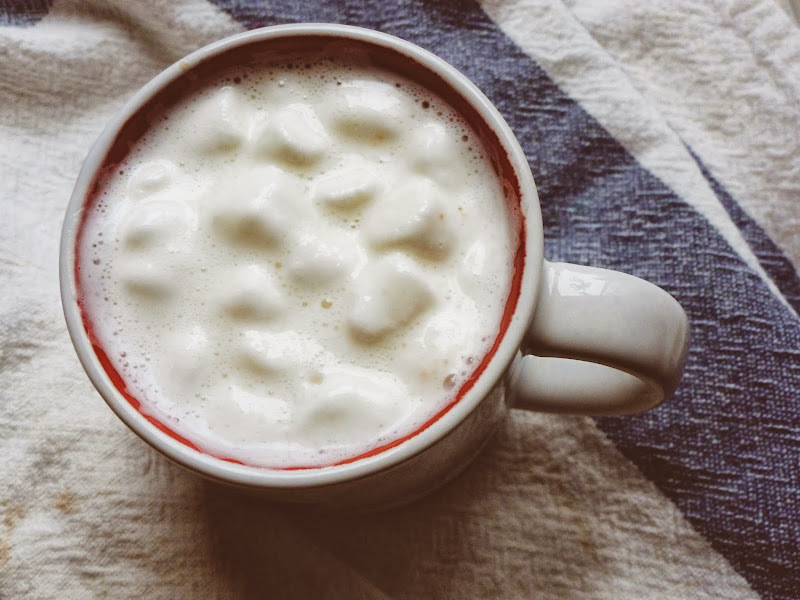 There just isn't much call or NEED for hot chocolate when it's 85 degrees outside most of the time, you know? So I very much appreciate the fact that on the Mainland, you can have certain seasonal drinks at certain times of the year, and they are all the more special for it. Like hot drinks. 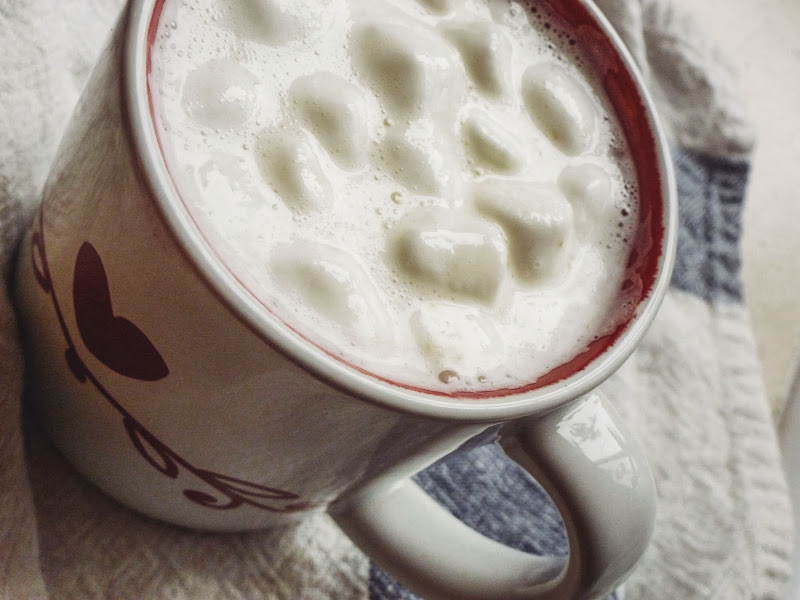 Or in this case, WHITE hot chocolate. 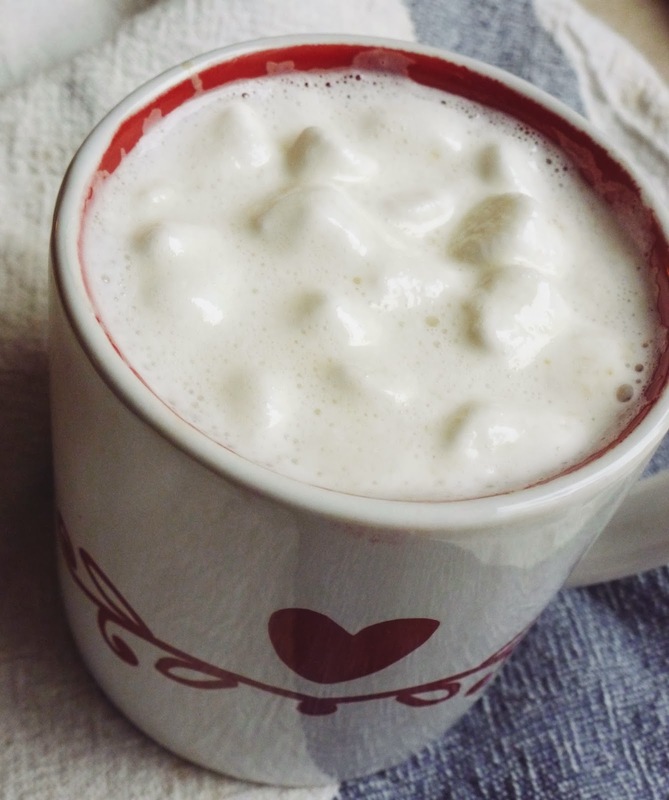 Do you know how to make white hot chocolate? SO EASY. First you follow my instructions for Moonlight Tea. Too lazy to click over? Seriously? OK FINE. You take a little cup of milky, and heat it up. You want WARM, not hot. Add a couple drops of vanilla and 1 sugar lump or a teaspoon of sugar. 1/2 teaspoon of sugar? A little spoonful of sugar. THEN YOU PUT A WHOLE PILE OF MINI MARSHMALLOWS ON TOP. Let them get a bit melty. OH it's so delightful I tell you! 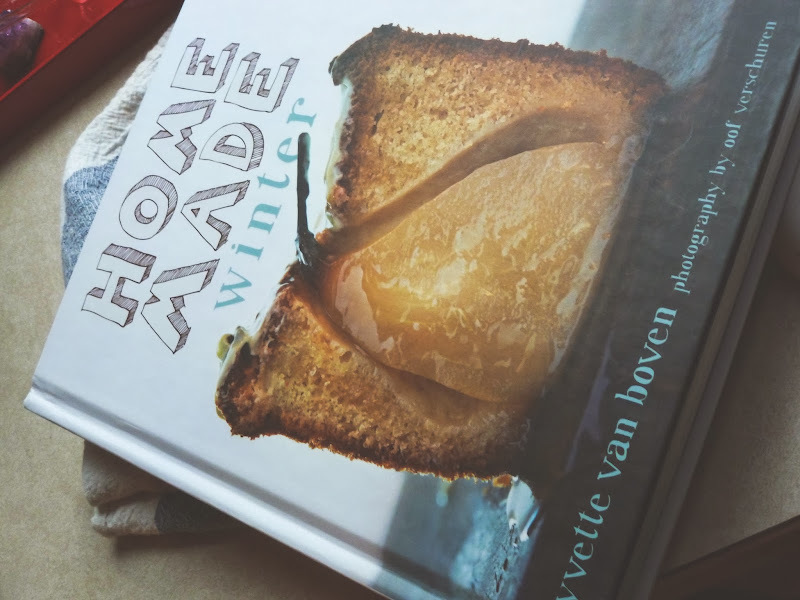 I've had 'Homemade Winter' by Yvette Van Boven and Oof Verschuren for over a year now. I meant to blog about it last year. I'm roughly a year behind on a great many posts. This cookbook has been all over the internet for at least two years I think, and just now I am moseying my way into blogging about it. It's a super neat book for many reasons. THE PHOTOS will blow you away. 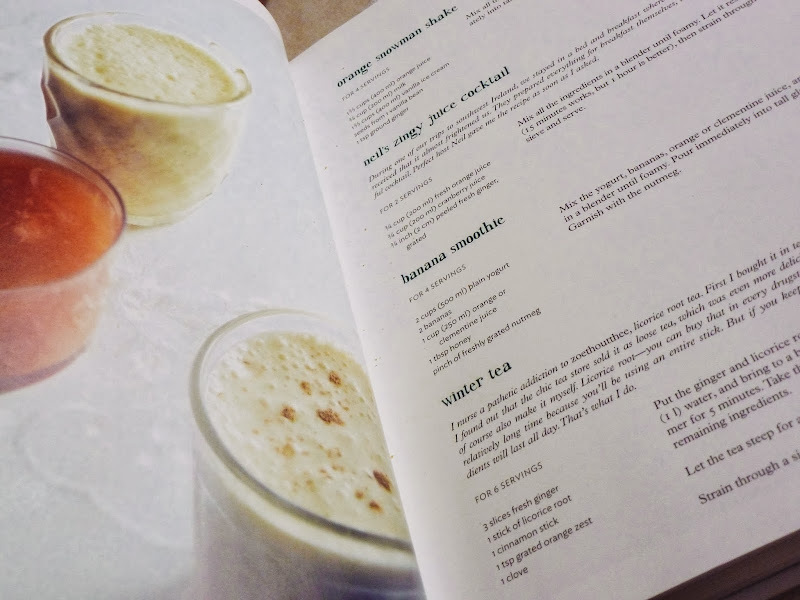 There are recipes printed directly onto the photos, which I think is very Cool & Interesting. Regular family fare it is not, but fun and unique and rustic and inspired by Irish cuisine it is. A must for the cookbook lovers out there! There are lots and lots of things I want to try and have tried. 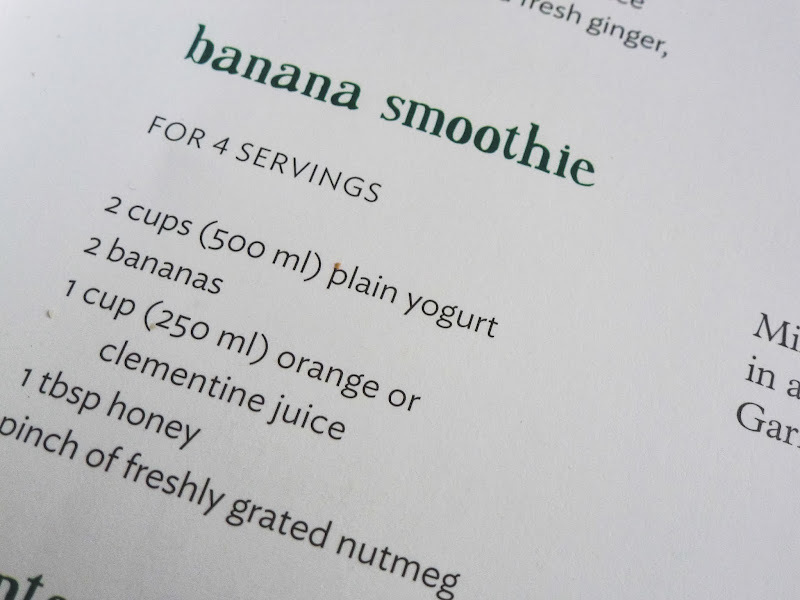 Right now, I'm obsessed with the recipe for the banana smoothie, which I've made several times in a row, and I'll share the picture this Friday. See the last photo for the recipe. After you put in those ingredients down below, you blend them. That's it! 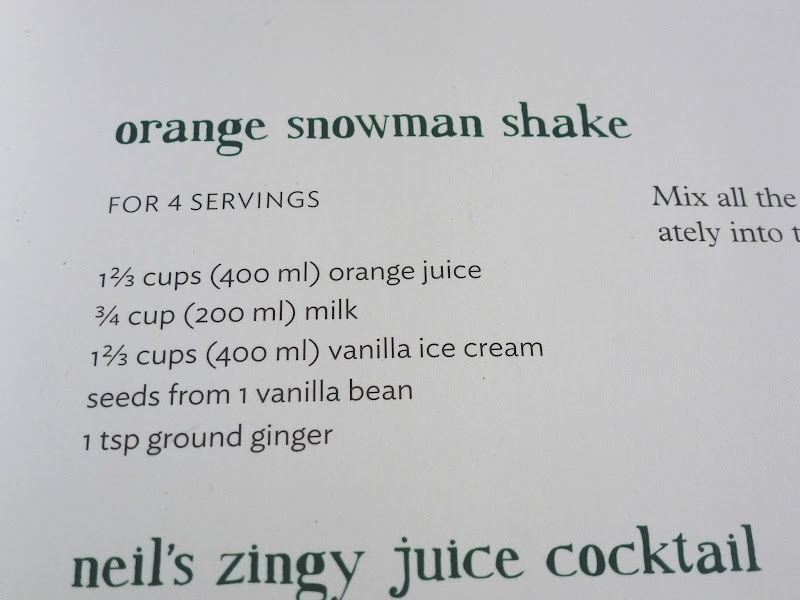 I haven't made the orange snowman shake recipe yet, but it's happening ASAP. I'll write out the recipe for you, because I love to be a little helper when I'm not feeling too lazy. Oh and there's a recipe for Winter Tea, which sounds rather akin to the tea Julia and I invented for ourselves! Mix all the ingredients in a blender until foamy. Pour immediately into tall glasses. So what wintery things are you all up to? I'm getting ready for my birthday later this week. It's my birthday later this week! This is how I'm getting ready. By ordering the new Nigel Slater cookbook for myself with the Amazon gift card my mom-in-law gave me. I'm SO EXCITED! oh my heavens that would totally be the best thing EVER!!! i'm making my own birthday cake which Julia finds very sad, but it's not! I'm the baker in the family, and I don't really like bakery made cakes. I get very happy each year making my birthday cake!! I make my own birthday cake every year, too! I just love to bake. It's fun , too, to bake my cake with the kids. It makes my day extra special. So jealous of your star lights with your garland! I wish I had kitchen windows. Our house is just... weird. And I love your snowflake stick tree. And I want that book. Yep. I want star lights too! IKEA. IKEA. IKEA. those star lights are called 'Kilometer' and I got the first strand in 2012, and I loved them so much that this past holiday season I went back and got another strand to go on my fireplace mantel. They had flowers, snowflakes (i think) and the stars. I loooooooooove the stars! I would leave up forever but I worry about them burning out and Ikea stops making them and then where would I be??? Thank you Miss Erica!!!! You're EVER so nice!!! 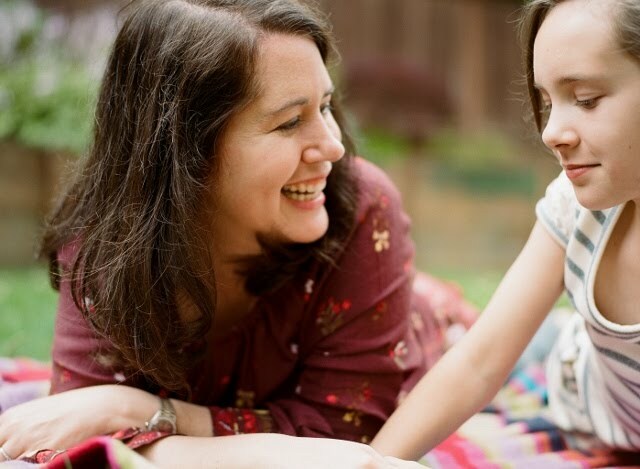 I'm trying to be a little more intentional with my blogging, and making denser posts, but maybe not so often posts. (um, that's a fancy way of saying it's ok that I'm blogging a bit less). tee hee. well i tell you. this time of year is like a clash of warring decor. so many things happening at once, like snowflake season, Chinese New Year, and Valentine's Day. Chinese New Year is on Jan 31, so I think at the end of the month, the snowflakes will come down and the red paper lanterns will go up. Or the red valentine hearts, I haven't decided. Maybe I should wait on the lanterns and do spring lanterns again in the spring. SO MANY decisions! So much fun here today! 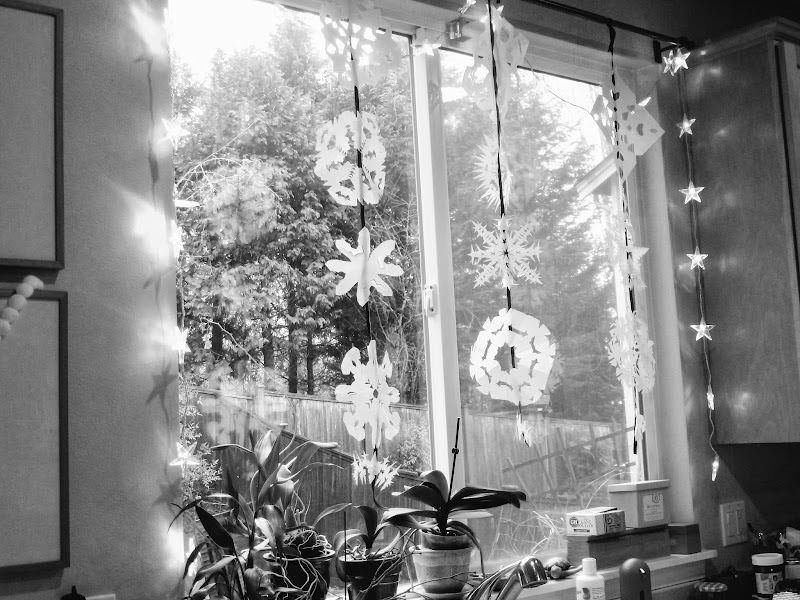 We are a snowflake house, although I usually just scotch tape (yes, a miracle product if I ever used one) the snowflakes directly to the window. The garland is a good idea. I like to keep my snowflakes up in January, then switch to hearts and such for February, and the go to St. Patrick stuff in March. It's nice to have some bright colors in our long midwest winters. Oh, and I love the White Chocolate drink idea. 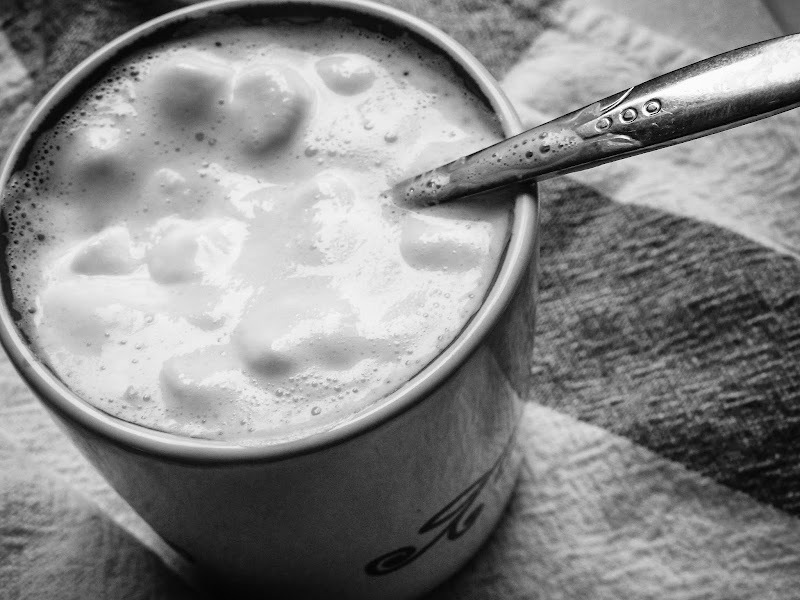 My kids love Hot Cocoa so much that I never have enough "fixens" in the house, and this might be a great solution! OH I HEAR YOU about needing the color! for awhile I had so many kinds of hot choc mix that my husband was like, NO MORE until we drink what we've got -- it took awhile but eventually we made it thru most if it -- now i need to build up my collection again! oh Miss M, how it swells my little heart to hear you say that -- you're always so kind and supportive of my space here, i appreciate it so much!!! your garlands are WONDERFUL!!! and it's high time I try your non-chocolate concoction... somehow I never tried it the last time you posted, and I don't like chocolate so I really need to try it! AND I WILL. must get marshmallows.